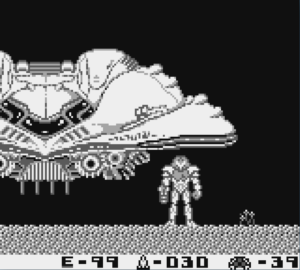 When you look back at the history of the Metroid franchise, most gamers view at Metroid II as one of the black sheep in the franchise. It was originally released for the Game Boy, and while it was a complete NES-like experience on the go, it left a lot to be desired. After the release of legendary and near perfect Super Metroid, Metroid II was all but forgotten. When Nintendo announced that it was going to remake Metroid II for the Nintendo 3DS as Metroid: Samus Returns, it signaled a hopeful return to form for many fans. 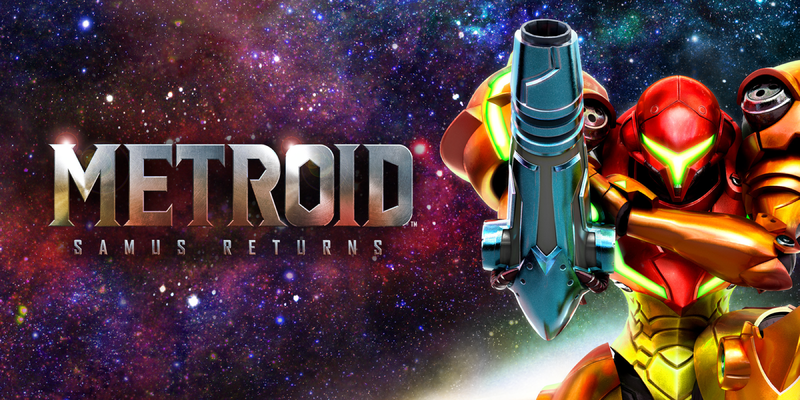 Not only is Metroid: Samus Returns the first Metroid game following a seven year hiatus following Metroid Other M, it is the first 2D Metroid game since 2004's Metroid: Zero Mission. The story is pretty simple. Metroids are terrorizing the surface of SR-388. Samus is familiar with the creatures thanks to her adventures on Zebes and Tallon IV, so the Galactic Federation dispatches her to destroy them all. This leads to a more open-ended approach to the level design; once you get to an area, you are tasked with hunting down the Metroids in the immediate vicinity. Unfortunately, this open-ended nature works against the flow of the game, as upgrades like Super Missiles, the Varia Suit and Grapple Beam are available a bit too easily. You might not be able to reach all of the Metroids you are hunting without these items. Adding to that frustration, once you get power ups, you find that you can't use them where you want them. Early on in the game you gain the Spider Ball ability, allowing you to stick to walls in Morph Ball form to navigate along ceilings and the like. But if there is sap on the wall, you fall off instantly. While I understand the need to keep players within the bounds of the level and trying to control their actions, this feels like a slap in the face. If you give me the Spider Ball, let me use the Spider Ball! This turns what should be a liberating and possibility changing power up into a situational navigational tool. Metroid is where sequence breaking was born. While I am sure you can sequence break Samus Returns to high hell, having these hard blocks in the way of even casual players is frustrating. As far as the new stuff goes, Samus now has new Aeion Powers, which add some fun newness to the standard Metroid arsenal. There is the ability to do a quick Area-of-Effect scan for destructible and items in your immediate area. There are also other new powers that offer more than handholding. The lightning armor makes you take less damage and walk through areas that are covered in poisonous underbrush with no concern. The mid-game addition of a slow time effect helps some puzzles become easier, but is absolutely required for other puzzles down the line. Some of the hidden upgrades require perfect execution of multiple skills, and that was a welcome change to the Metroid formula. Samus also gains a melee counter, which sounds a little odd considering Samus has a giant arm canon to fight with, but it brings a little more involvement in the combat beyond 'shoot X enemy with their weakness'. If you perform a perfect counter, it allows you to lay into the stunned enemy with all the missiles you want. As a cool bonus, when you counter a boss, these stuns reward you with a quick little interactive cut scene that breaks up the action from the standard 2D view. Speaking of bosses, they are tough as nails, with most requiring multiple attempts to clear successfully. The final boss took me around five attempts to complete because if you make it to the final phase of the boss fight and die, you get to repeat the fight over from the start. Luckily, after you see a boss intro cutscene once, you can press start to skip right to the action. As a remake, Samus Returns follows the story only. There are too many additions to Samus' power set compared to what was offered on the original Game Boy, not to mention it isn't limited by a simple palette of four colors. There are great backgrounds the make SR-388 feel alive and help contribute to the atmosphere of a lone bounty hunter on a hostile planet that frankly weren't present in the flat black backgrounds of the Game Boy version. If anything, Samus Returns is more of a love letter to Metroid II than a full remake. 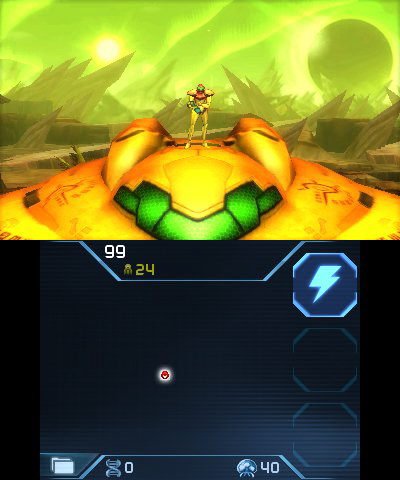 Metroid: Samus Returns is a great return to form for the Metroid franchise, and is one of the best looking games on the 3DS. While it won't be winning any 'Best of' awards compared to its older siblings Super Metroid and Metroid Fusion, it is a solid jaunt through 2D memory lane.